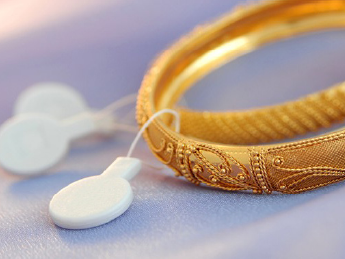 HID Global offers its Jewelry Tag passive contactless transponders to communicate with readers via RFID technology to enhance the ability to inventory and track high-value merchandise, such as jewelry and small electronics. The company’s anti-collision technology in each Jewelry Tag device enable simultaneous reading of multiple tags to provide complete daily merchandise inventories at the retail level with the wave of a handheld reader, while never having to remove items from display cases or storage cabinets. HID’s RFID Jewelry Tag enables quick, accurate, and effective merchandise accounting for regulatory reporting or stock planning. In addition, the visible presence of these tags deters would-be shoplifters, reducing shrinkage and theft. In addition to merchandise, the tamper evident tag may also be used as an “intelligent” seal, enabling more effective tracking of use and maintenance of mission-critical items like fire extinguishers and automated external defibrillators (AED).